What happens, if cargo not cleared by importer. What is Section 48 of Indian Customs Act. Import container arrived at port of final destination without any notice to consignee. When does importer file Bill of Entry with customs to take delivery of goods? How to handle un cleared import container? Once goods arrived at port of discharges, the importer has to file Bill of Entry with customs department within 30 days of arrival of goods at port. 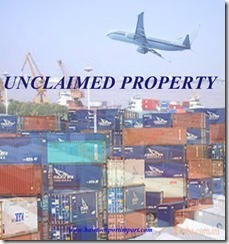 Bill of Entry is the customs document to be filed for import clearance. If you do not file bill of entry within 30 days of arrival of goods, the custodian of cargo can resell goods after obtaining necessary permission from customs. The importer needs to be given notice by custodian in this regard about any such auction. However, the importer can obtain permission from customs and custodian of cargo to extend the period of auction. The request letter has to be filed within the period of 30 days of arrival of cargo. So, any import container goods arrived at a destination customs location need to be arranged to complete import customs clearance procedures within 30 days of its arrival. A bill of Entry has to be filed along with other necessary import customs clearance documents to take delivery of goods. Some time, consignee/importer may not know the arrival of such container at port of destination. The importer would not have received any Cargo Arrival Notice CAN from shipping carrier. The shipper/exporter also would have either not sent shipping advice or importer/buyer would have not tracked such shipment. As I have mentioned in details about CAN Cargo Arrival Notice in my other article, dispatch of Cargo Arrival Notice is not mandatory my shipping carrier to consignee. So it is the duty of importer to track his import shipment for proper import delivery without delay. I hope, you have satisfied with this article - what happens, if cargo not cleared by importer. Do you wish to add more information about this article about the import customs clearance procedures under containers arrived without prior notice from shipping carriers/exporters? Write below your experience in handling import containers without proper Cargo Arrival Notice or intimation from shipper/exporter/consignor. Your comments and thoughts on this article - What happens, if cargo not cleared by importer? Sunil Lahu Dalvi: On 14 December 2013 Really it is improving knowledge. Could you please send me updates on my email id ? I am interested to read each chapter, which is really beneficial for me. shailesh kotia: On 26 July 2015 Hello! I'm an Manufacturer Exporter, and importing new machinery parts under EPCG, for establish an manufacturer plant as my previous exports is nil, kindly guide as i require to fulfill the bank guarantee for 100% for it will be 0% or other. as i registers as manufacture in SSI PartI/ RCMC. Advice for the bank guarantee calculation on saved duty amt. or the total invoice value. kindly advice here. mohan: On 25 March 2016 We had EPCG License which submitted to central excise dept lost by them and our export obligation fulfilled DGFT wants original to be submitted Can we file copy or any letter from central excise will do await your immediate response Pl. JC: On 20 July 2016 Hi, I had a problem with shipping line that i hope you can provide some advice. 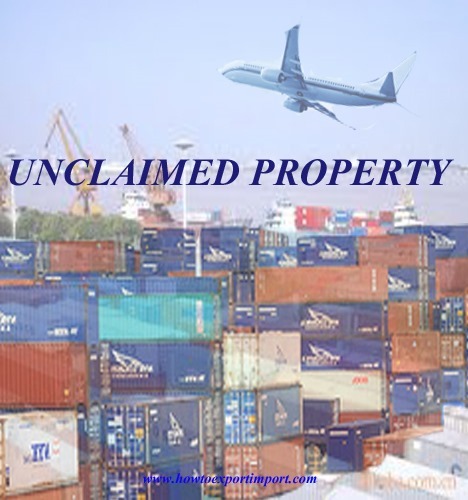 Our cargo have receive clearance from custom office, but because of past unsettle demurrage (due to some dispute with custom office), the shipping line refuse to release the document (Shipping Line's Delivery Order)needed for us to claim the cargo. It's been over 2 months now. So when the dispute is cleared, our company settle the "past unsettle" demurrage. The problem is, the shipping line also insist that we have to pay the demurrage fee for the container that they refuse to release the Delivery Order. Are they (the shipping line) really have the right to do that? please provide any regulation background if possible. Any help will be appreciated. Thanks. Carol Mathews : On 13 August 2016 I am carol mathews from Cochin, been to international logistics industry for over a decade. I have a doubt regarding customs confiscated goods, cochin customs have confiscated some material had its been kept in a cfs. the reason behind the confiscation is that the material was valued lower in order to get duty reduction. fine and penalty was imposed on the cnee but the cnee after filing the BE didnt turn up to get the goods. the goods are with the CFS now customs are preparing for the auction. They say that the dept directly will do the auction without involving the CFS. thats fine, but will the cfs stand any chance to get some remuneration since they were the custodian and kept the goods for long. Suhel goriawala: On 27 September 2016 Goods imported into thailand from cambodia..form D issuance from cambodia is inadequate for thai customs...zero percent if proper form d stipulations...20 percent duty for normal imports...how to resolve the impasse ? Mustaq ahamad jusgard: On 17 January 2018 What should be done if the exporter donot send the original documents to the importer but send the original document to the other one fraudently and scanned documents to the legitimate importers by which actual importer donot get the cargo and cheated fraudently. Budget 2015-16, Central Excise Duty changes for iced tea under HS Code Chapter 21.